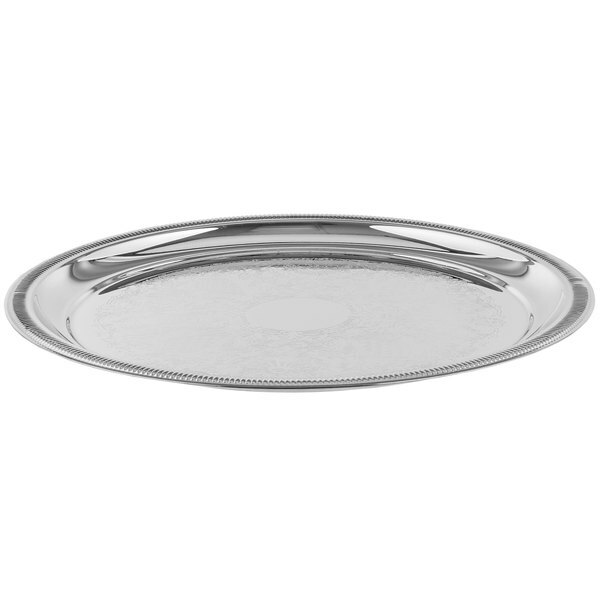 A perfect blend of elegance and durability, the Vollrath 82100 Elegant Reflections 12 3/8" round serving tray is ideal for commercial tasks that require an upscale feel. 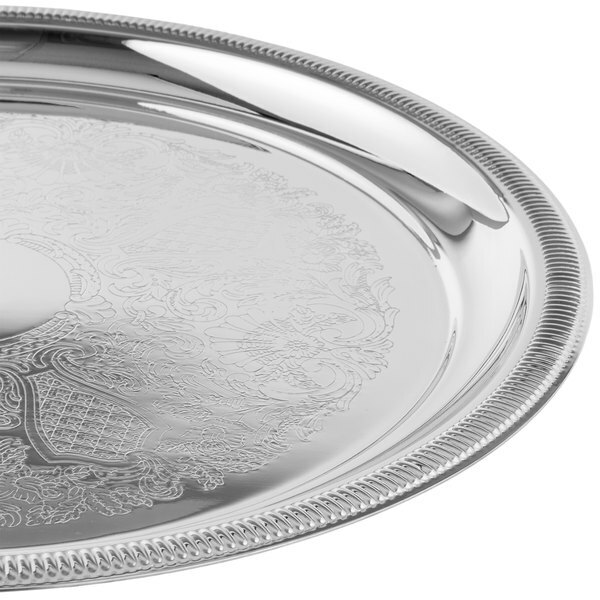 Made from heavy-duty 18/8 stainless steel, this tray certainly delivers in the durability department, while its ornate engravings and scalloped gadroon edge provide a high-class appeal that's perfect for banquets, soirees, and other special events. In addition to their visual benefits, these intricate details also help hide signs of wear, so your staff can spend less time polishing and more time providing top quality service. Thanks to its food-safe surface, you can place your food directly onto the tray, so you don't have to cover up the elegant designs when serving. 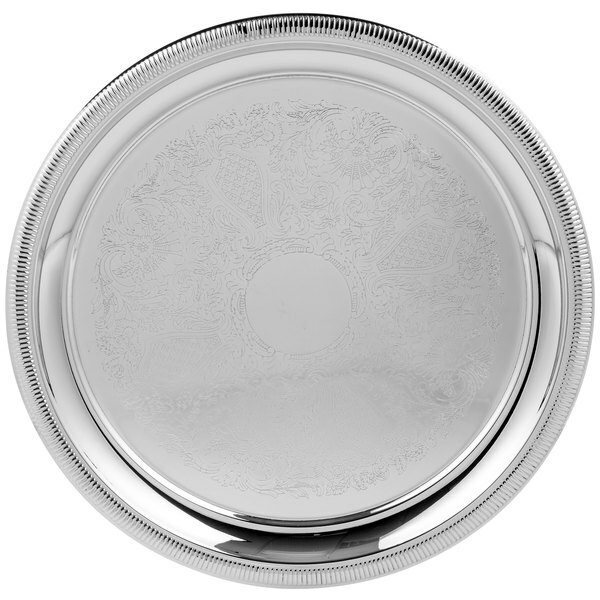 Round in shape and boasting a highly reflective mirror finish, this tray harkens back to times gone by with its traditional design. It's sure to leave an impression on your guests, making your event the most talked about night of the year! 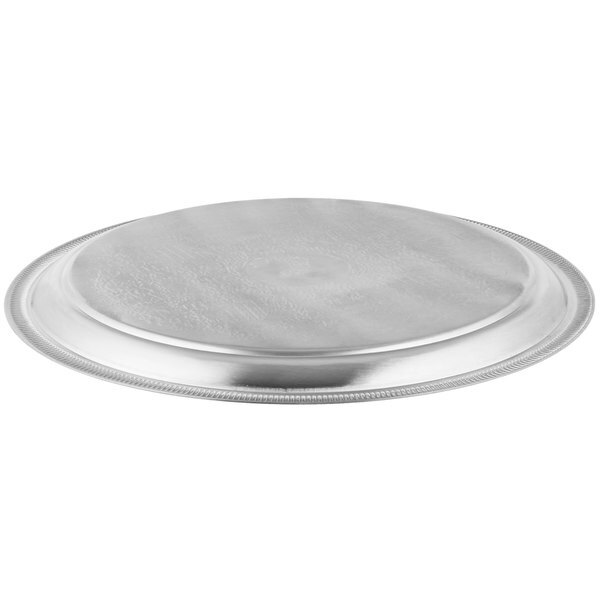 We purchased three sizes of the vollrath platters. We use them for everything from lettuce wraps to fruit to sliders and more. Great price and very nice looking.